The holiday season is here! That means there will be plenty of parties happening in your home in the new few months. Gatherings of your family and friends are a special time. We recommend treating yourself to our hardwood floor installation for your Danbury home before celebration season really gets into full swing! It’s less cleaning to do before the party. There is always plenty of cleaning to do in order to get ready for a party, but worrying about your carpets should be the last thing on your mind. New flooring means everything is perfectly clean and ready to go when the first guests arrive. Hardwood is easier to tidy up after the party. Things are going to get spilled at the party. It’s just a fact of life! But when you have hardwood flooring, a quick pass of the mop or sweep of the broom will have everything looking perfect again. No need to run your carpet cleaner each time the guests leave. New floors make the rest of your home more beautiful. Your floor is one of the biggest surfaces of your home! If your carpets look dirty or dingy, it can make the rest of your home look less-than-its-best, too. Replacing the flooring can help elevate the look of your entire home and have it sparkling for your guests. Let our hardwood flooring installation team help you get ready for the holidays! 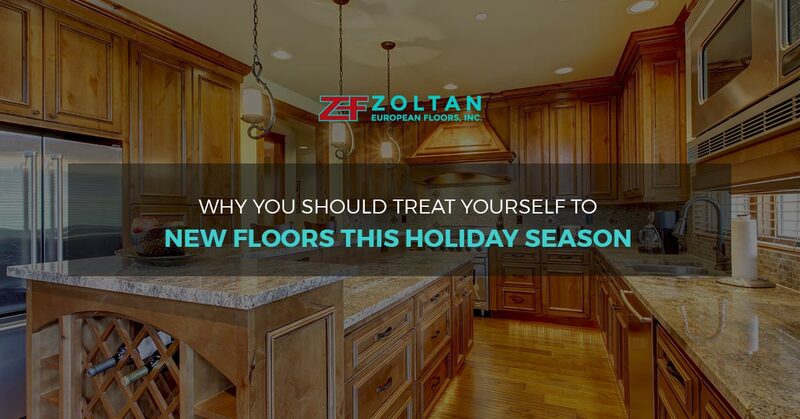 Get in touch with Zoltan European Floors, Inc. and set up an appointment for one of our free flooring consultations. We’ll help you pick out the flooring that’s perfect for your home and then schedule an installation time that works with your busy holiday schedule. Get your new floors installed soon by contacting us before our holiday calendar books up!